This KFC cole slaw recipe is a clone of KFC coleslaw recipe which means that this is not the original KFC coleslaw recipe. 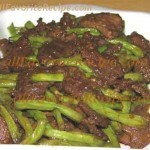 I got this recipe from the internet but I’ve made some changes according to my taste. Anyway, we went to KFC and bought their coleslaw just to compare its taste and looks to the one that I’ve modified if they are really the same. Yes, I follow all the ingredients and instructions of the modified KFP cole slaw recipe, let it sit overnight, and I even used the empty KFC coleslaw container. And you know what? 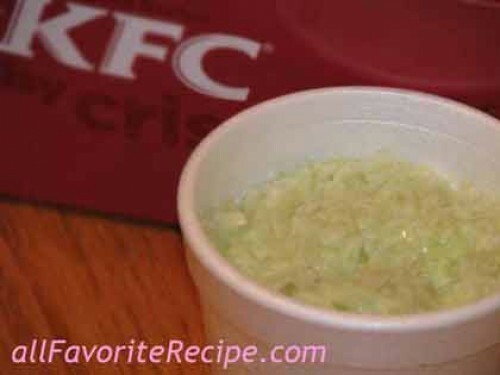 This KFC coleslaw taste even better than the real KFC cole slaw. Make sure that the cabbage and carrots are chopped up into a very fine pieces like the size of rice grain. In a bowl, combine the buttermilk, mayonnaise, milk, sugar, lemon juice, salt, vinegar and pepper. Beat the mixture until it is smooth. Add the cabbage, carrots and onion, then mix well. Cover and refrigerate the mixture for at least 6 hrs before serving.